Your new favorite pair of shoes are about to bibbidi-bobbidi-boo themselves into your life, and you don’t even need to throw yourself onto the nearest stool and cry for it to happen. Disney and Toms are teaming up for a brand new shoe collection, and while it’s definitely fashion forward, some details are a little old school, too. 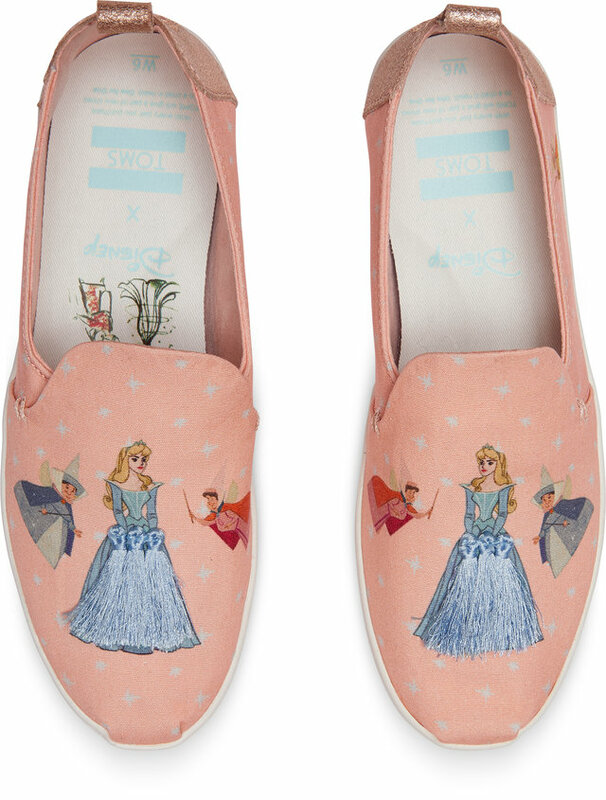 This latest Toms x Disney collaboration is an ode to the OG princesses, with a new collection of shoes and sunglasses celebrating Cinderella, Snow White, and Sleeping Beauty — using the artwork from the Disney archives. The artwork being pulled from the official Disney Archives for the collection was created by the Disney’s Ink and Paint department —the all-female animation and art department — during Disney’s original Golden Age between the 1930s through 1950s. As if the 13 pairs of shoes and one pair of sunglasses aren’t already magical enough, the collection also pays tribute to the underrated women responsible for so much of the original magic infused into the films. In this case, the shoe definitely fits…and we’re going to need the entire collection. 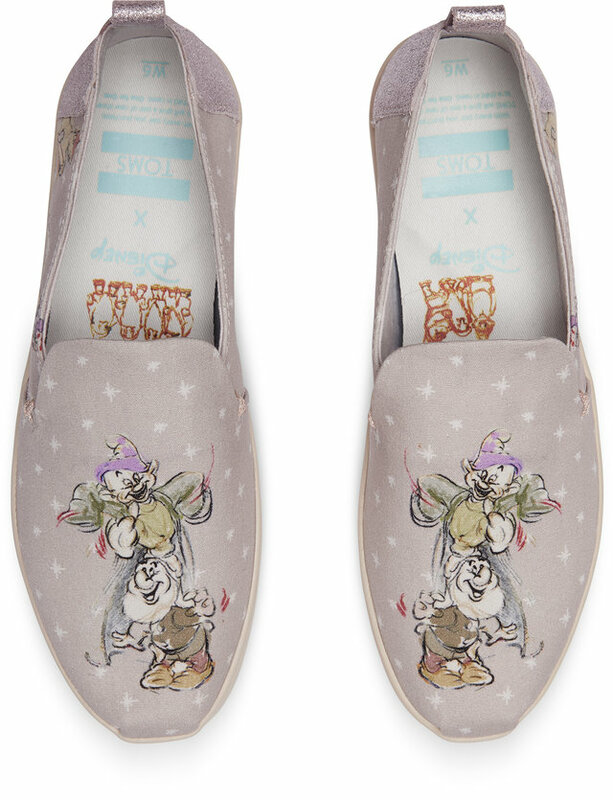 Does this make Toms x Disney our new fairy godmother? Because Disney and Toms knows Toms x Disney is the glass slipper of shoe collections, they’re taking things slow and releasing the collection little by little. Beginning on June 21st, fans can find the Cinderella designs in stores, followed by Sleeping Beauty on July 19th, and Snow White on August 23rd. And according to Disney Style, this collection is just the beginning, as this fall, a brand new special Toms x Disney holiday collection will be unveiled. We’re so glad the release is being staggered. We know that if Toms x Disney was released all at once, we’d likely accidentally prick our finger in excitement and find ourselves in a deep sleep until the perfect pair arrived on our doorstep to defeat our evil, dated casual shoes. The collection can be found in women’s and children’s sizes so you can match with your mini, too. Mark your calendars.